For some, turning 30 is a daunting occasion. It’s an age when we’re expected to be mature and take life seriously. And just getting yourself up and down from a chair now takes effort and involves a distinctly loud groan. It’s not all bad though. 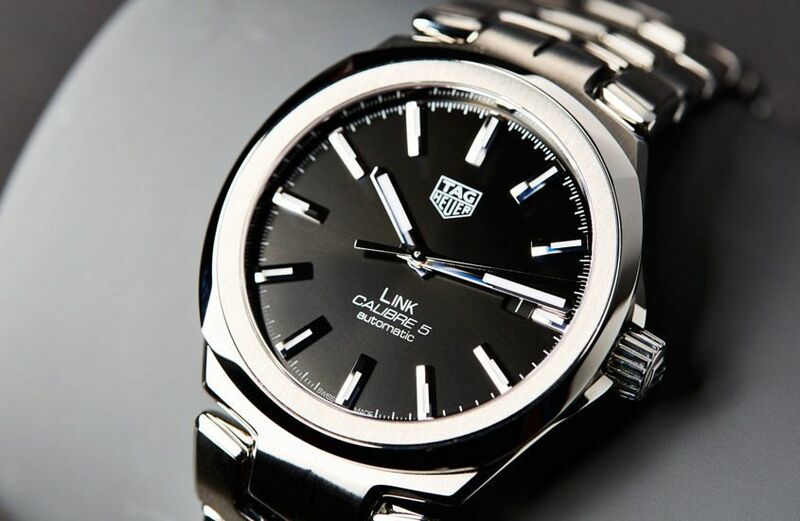 And in the case of the new TAG Heuer Link it can actually be a very good thing. 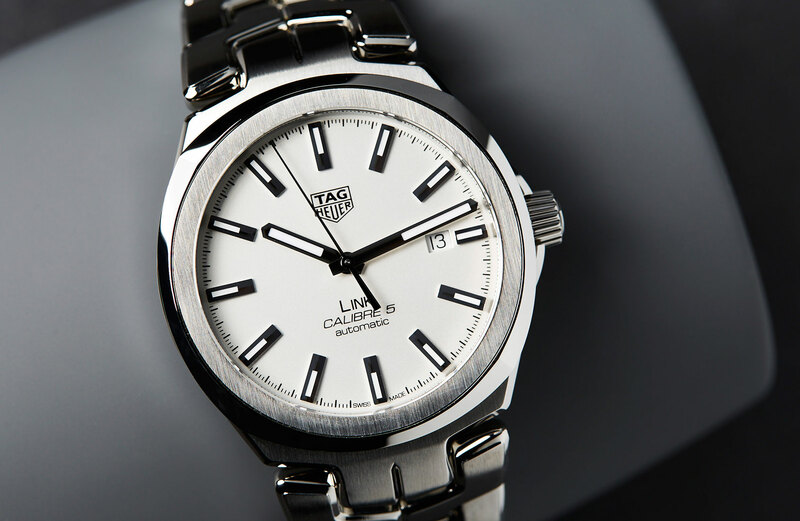 First released in 1987, the Link began life as the TAG Heuer S/EL (short for Sports Elegance) and throughout the ’90s was one of their most successful models. 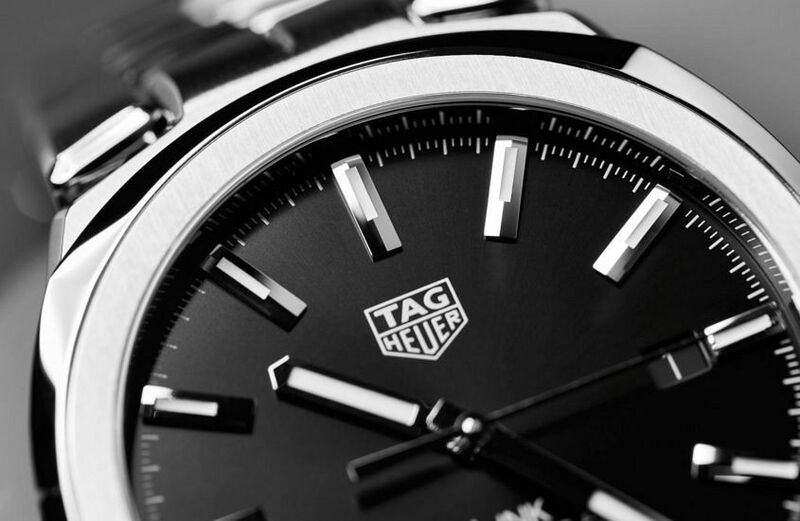 In recent years, however, the Link was overshadowed by the other big players in the TAG Heuer catalogue. At least that was until last year when it was relaunched in the women’s collection, and this year it’s the men’s turn. Now measuring 41mm, the case of the updated Link treads the curved line between a round and cushion shape. 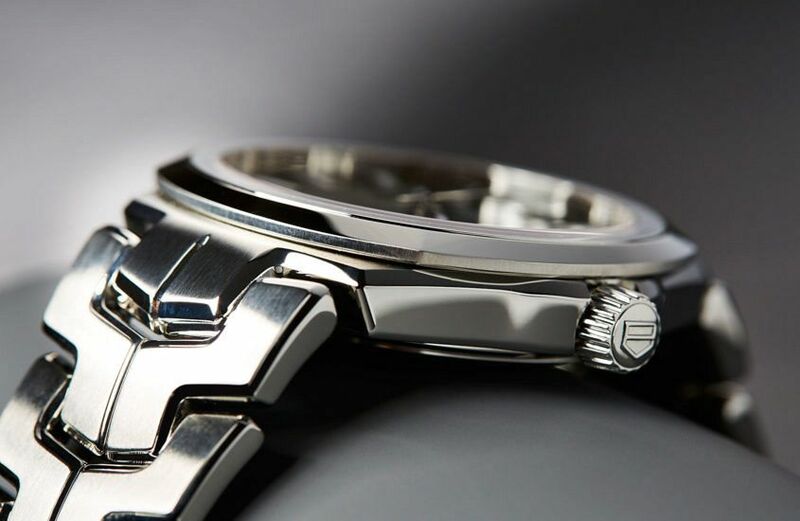 With satin brushing and polished edges creating contrast and emphasising its silhouette, particularly on the two-piece bezel. The smooth lines mean that this Link is elegant and dressy, but with subtle crown protectors and 100m of water resistance, it harkens back to the sportiness of the 1987 original. While the case is all new, the Link is all about the bracelet, it’s where it gets its name from after all. Twin S-shaped links follow suit and are also vertically brushed with polished rounded edges, and have a way of catching reflections to create a lively mix of light and shadow. And just like its predecessor, it’s fully integrated into the case. Seamlessly tapering away and gently moulding to sit flat against the wrist. A quality that is carried through from the slim profile of the case. There are three dial options: silver, black, and blue sunray. The blue will probably prove to be the most popular, but the other two options still hold their own. 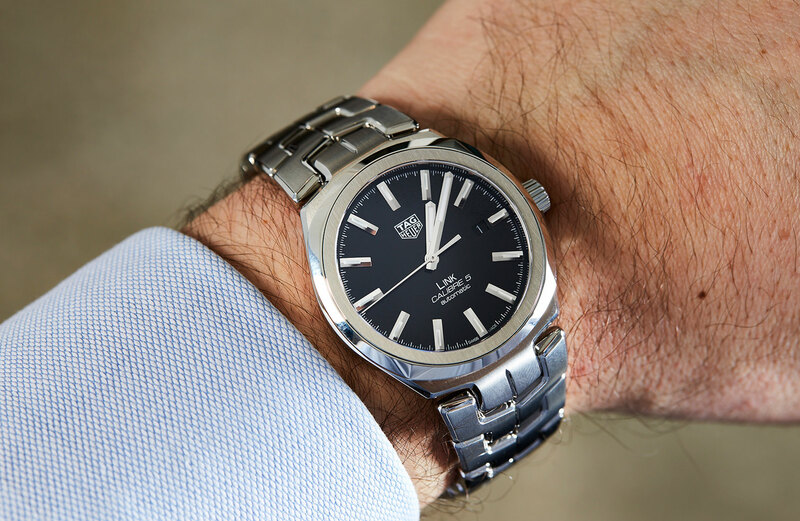 A printed logo and text, the uncluttered layout echoes the sporting elegance theme with a date at 3 o’clock and a set of baton-style hour markers and hands, which are rhodium-plated and lume-filled for maximum visibility. 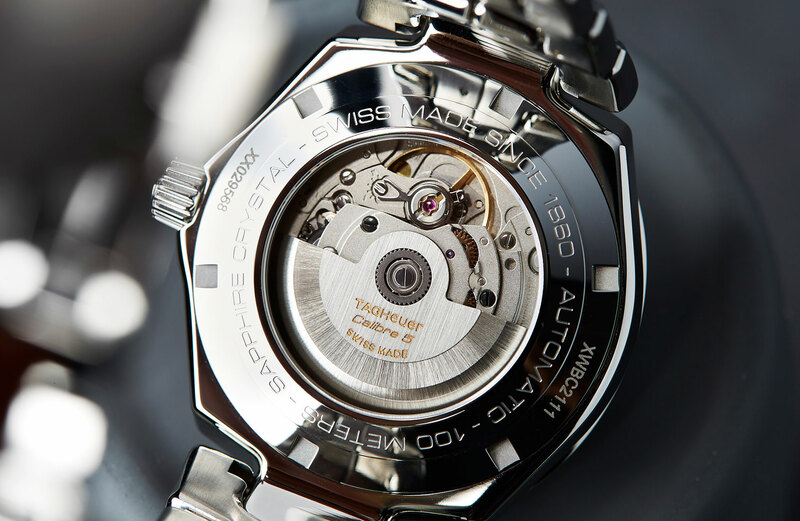 Just like it says on the dial, underneath beats a Calibre 5 movement, which is also seen through the sapphire display caseback, and has a power reserve of 38 hours. 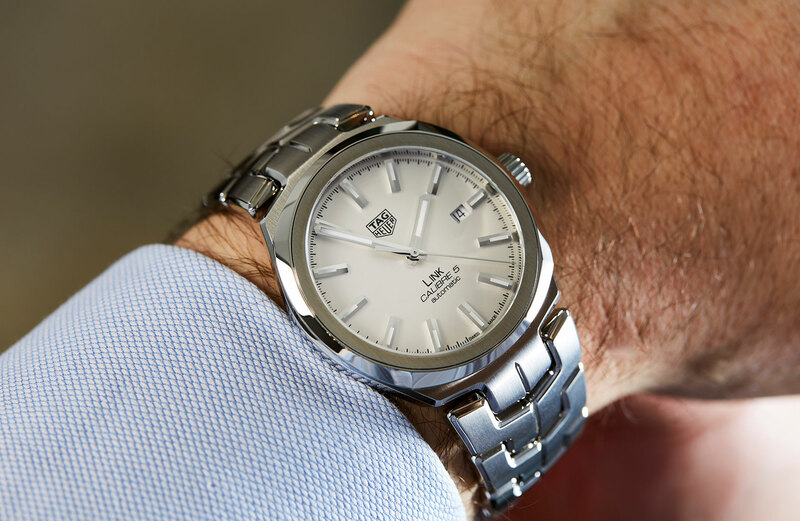 Sleek, refined and dressy, the new TAG Heuer Link should prove to be as successful as its sportier ’90s precursor.